Debra (Debbie) Stoudenmire passed away on Sunday, January 27, 2019. She was a devoted mom, grandmother & sister. Debbie graduated from BC Rain High School in 1972 where she was the valedictorian. She then graduated from Auburn Pharmacy School in 1977. She has remained a huge War Eagle fan. Debbie has lived in Mobile her entire life and has been a long-time member of Springhill Baptist Church where she was a Sunday School teacher. She is preceded in death by her father, James Otis Goff and her mother, Emily Early Goff. 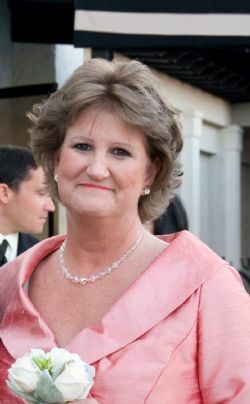 She is survived by her former husband, Bill Stoudenmire; two sons, Wade Stoudenmire (Cheryl) and Kyle (Priscilla); three grandchildren, Adelyn, Avery & Olivia; brother, Glenn Goff (Starla); and two nephews, Dylan and Dalton Goff. Visitation will be held Thursday, January 31, 2019, from 11:30 a.m. until 12:30 p.m. at Springhill Baptist Church followed by a memorial service at 12:30 p.m. at the church. Interment is in Mobile Memorial Gardens Cemetery. In lieu of flowers, contributions may be made to the Alzheimer’s Foundation in Debbie’s name. A private service will be held on Thursday, 01/31/2019.